Compare all new houses for sale in Monteregie. New housing project located on the South Shore of Montreal in Saint-Bruno-de-Montarville. This brand new project, located in the city of Carignan and accessible through the city of St-Bruno-de-Montarville. Several bungalows for sale in Saint-Zotique. Located near Highway 20, a grocery store, shool and other amenities. Housing project for sale in Granby. Available land from 7000 to 24 000 sq. f. ready for townhouses and single-family homes. House construction project in Châteauguay. Take your pick from one of the 12 models we have available or create your own! 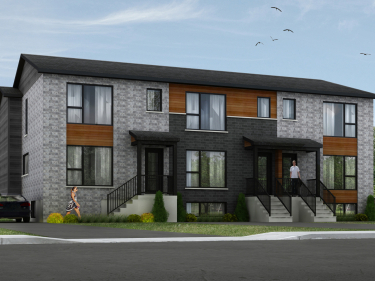 Houses construction project for sale in Sainte-Hyacinthe. Near many services, easy access to Highway 20. Located in a peaceful and ideally situated environment, this project located in St-Luc will fulfill your every desire. Condominium project for sale in Saint-Hyacinthe. Housing project for sale in Bromont. Near Highway 10, golf courses, bike trails and ski slopes. 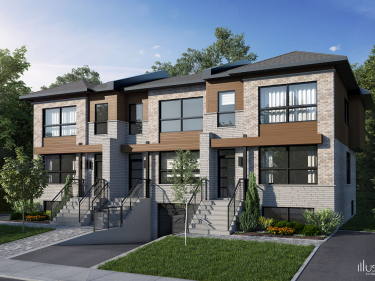 Prestigious housing project for sale in Saint-Hyacinthe. Housing development for sale in Saint-Jean-sur-Richelieu. 38 lots of 4,305 sq. ft. and more. Near an elementary school. Houses construction project for sale in Roxton Pond. 10 minutes from downtown Granby and its services, easy access to highway 10. House contruction project for sale in Cowansville. Bungalows and cottages. Housing development in Varennes. 5 minutes walk from the park, buses, restaurants, pharmacies and more. Many models of houses available. The "Domaine Vert'' housing project consists of sixty doors, the majority of which are located on perfectly sodded land. Houses construction project for sale in Granby. 10 lands of 33 000 to 53 000 sq.f. for single family houses and cottages. 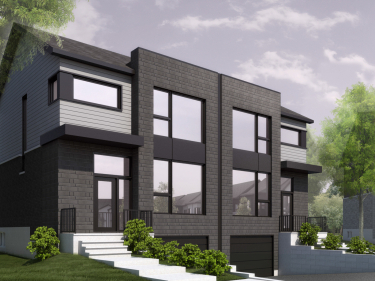 Townhouses construction project with garage for sale in Saint-Jean-Baptiste. New luxury homes for sale in Île Perrot. Close to stores, three golf courses, two marinas and Highway 20. Real estate project offering new, high-end and modern single family and semi detached homes; over 200 units in total. Size of land between 8,500 square feet and 21,000 square feet. Housing development for sale in Granby. Near the downtown, schools, churches, parks, libraries and more. 10 minutes from Bromont. The residential project in the borough of St-Hubert , less than 4 minutes from Chevrier parking. Home construction project for sale in Vaudreuil-sur-le-Lac. Several models of houses available. Easy access to the Trans-Canada Highway. Bungalow style construction project in Saint-Jean-sur-Richelieu. The Symbiocité project of La Prairie is a unique place where 50% of the development is occupied by a conservation park. Houses construction project for sale in Mont Saint-Hilaire. Near the mountain.